Many people in the Gulf that I’ve spoken to in recent years fear greatly for the future of the Arabic language. This is to some perhaps surprising. It is difficult to countenance the notion of a people forsaking their own language when it is such a key feature of their religion, life and culture. Yet although Arabic will clearly never disappear, fears of its increasing marginalisation are real. Abbas Al Tonsi, known to many an Arabic student for co-authoring the Arabic language text-book Al Kitab, has verbalised these fears. There are primarily two factors at play. Firstly, the march of the English language, the lingua franca of business and economics as well as a whole host of other spheres, is continuing apace. In – as they say – an ever more globalized world, a firm grasp of English is becoming ever more important. Gulf countries are switching their education systems from Arabic-focused to English-focused to supply their future generations with one of the key skills enabling them and their country to compete effectively: English. Secondly, compounding this problem, Al Tonsi places the blame on Arabic schools whose teaching styles, as anyone who as been in a government school in the Gulf can testify, leave a lot to be desired. Rote learning, drilling and grammar and emphasized ad nauseum, which is quite at odds with more advanced and interactive methods used in teaching English. Classical Arabic has been dead for centuries. People know its general form but not the true meaning. 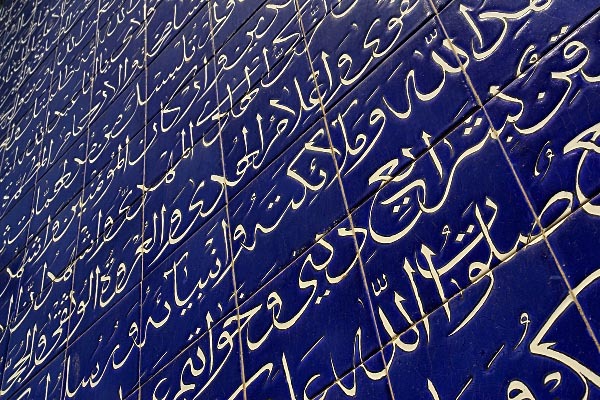 The words of the Koran remains elusive with countless interpretations of its meaning and form. Classical Arabic language, is a language that no one speaks & only survived as a written language, by repressive laws, enforcement & denigration. Yes, Arabic is dead. Accept the reality as it is. No need to live in a virtual truth! Islamists & pan-Arabists really hate to hear anyone admitting that, accusing them of treason. El árabe se encuentra hoy en la misma situación que estaba el latin en el siglo XI respecto a los dialectos que luego dieron lugar a lenguas como el español, francés, portugués etc. Hasta el siglo XVII la gente culta escribía en latin, Newton por ejemplo que era inglés, pero la gente hablaba el dialecto, igual que ahora que el rey de marruecos, por ejemplo, habla fushha cuando se dirige a su pueblo por TV pero con su mujer y sus hijos habla en marroquí (el lahya o el umia). Por otra parte el arabe clásico o el árabe estándar está impidiendo que los dialectos árabes se desarrollen y que el egipcio, el libanés o el sirio no tengan una literatura respetable. Se puede decir que el árabe se ha convertido en un idioma asesino. i think it didn`t die yet, but as foreigner we don`t speak it in a good way , that makes the arab people in these countries choose the easiest language for them , which is colloquial . sorry , where did you study Arabic?? at the university of Damascus at the begining, but then i studied in a private institute called http://www.lalinguaarabapertutti.com it is italian name ( in english Arabic language for all), just because the teacher there talking a fluent italian and english..
a) A language which is no longer spoken by anyone as their main language. b) A language, such as Latin, that is no longer learned as a native language by a speech community. I accuse you of stupidity and ignorance. Hold your horses. With China becoming more and more significant, Mandarin might just replace English soon.